Finding the right technology partner from a pile of Xamarin development companies can be a hard task. Based on their proven team strength, transparency, years of experience, track record, technical expertise and diversified portfolio we have selected some of the top xamarin app development companies. Xamarin is an application development platform that lets you build applications for many platforms with a single shared code base. Xamarin, originally called MonoTouch is a cross-platform framework with its own IDE. It works on C# within the .NET framework and allows you to create native apps by utilizing native APIs and UIs of each platform. Xamarin Forms provide an MVVM (Model View ViewModel) based UI infrastructure by utilizing the power of XAML markup and C# Designer files. Xamarin has entirely converted the Android and iOS SDK to C# to make it more familiar to the developers. One can easily use the same codebase for both the platforms without the hassle of remembering the syntax of different languages all the time. Xamarin library allows you to write native UIs for once and then share and convert them to platform-specific UIs. 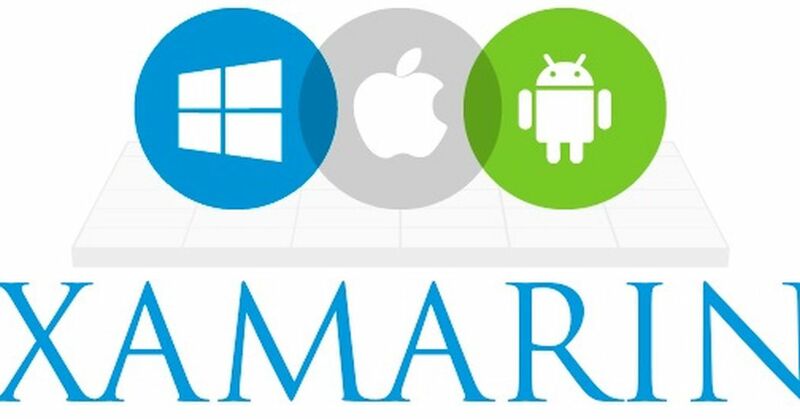 Xamarin currently supports iOS, Android and Windows platform. Xamarin provides developers two ways to build a mobile app. Either by using Xamarin.iOS and Xamarin.Android or by using Xamarin.Forms which is a framework for simple apps and prototypes. Xamarin Forms is a cross-platform natively backed User Interface (UI) toolkit which allows developers to easily create a user interface that can be shared across various platforms Android, iOS and Windows Phone. 3.Xamarin supports type checking, which allows developers to detect and fix errors before the end customer has even seen the application. 4.Xamarin uses PCL for backend interactions, that is it will replicate the same C# code for every website or desktop app you may wish to develop in future and will enable you to use two different languages and two IDEs. 5.Application indexing in Xamarin allows those applications to be in the search results which usually gets forgotten after few uses from the Users. Xamarin comes with many variants of products. Listed below are some of them. Choosing a Xamarin company is a difficult task for an individual who is new in this sector. We are here to help you with a list of top Xamarin companies with better services.